COURSE AVAILABLE -- REGISTER TODAY! In the very early days on our Sustainability journey, G&A provided such important intelligence and experience-based guidance to Monsanto Company, a Fortune 100 company, hoisting us up on their shoulders until we got our sustainability feet under us. Their efforts, insights & change management skills put the enterprise on the right path toward becoming a more sustainable company. With our feet under us, G&A stretched us to dream big, be bold, and lead the agriculture sector. G&A have provided me with the expertise and support I needed not only in research on materiality but in helping us progress our sustainability program. They also keep me well informed of new trends and opportunities and have helped me grow my networking with other sustainability professionals. The G&A Institute has been a trusted partner in our mutual aim to provide better understanding of sustainability and ESG issues globally. We highly appreciate the breadth of their experience, their deep knowledge of the issues, their highly-respected position within the ESG community as well as their constant contributions to the field through research and engagement. Working with G&A Institute on stakeholder materiality research was conducted in a pragmatic and professional way. G&A's strong expertise in CSR and the subject of materiality was very helpful to our team as we work to attain advanced leadership in sustainability. Over the last several years I have found the tools, resources and information from Governance & Accountability Institute, Inc. to be among the most useful, timely and credible. 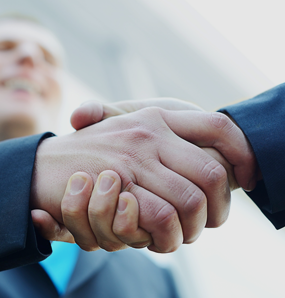 From meetings with the true decision-makers to industry-specific insights, G&A has proven to be a strategic partner. I’ve been collaborating with the G&A team — Hank and Lou in particular — since before they founded G&A, and I’ve been consistently impressed by the quality of both their work, and their integrity. On the work front, the research G&A produces — particularly the “What Matters” workstream built on the foundation of their serving as GRI Data Partners — is a huge service to the field, helping to advance a deeper understanding of materiality and ESG performance. On the integrity front, the G&A team always delivers on its word — in this day and age, it’s refreshing to have relationships where a handshake agreement means something! What’s more, there's always a sense of good humor and conviviality when we meet! SL Green is committed to implementing best practices in ESG. G&A Institute helped us identify areas of opportunity to drive meaningful results through increased transparency, goal setting, and shareholder engagement. Throughout our partnership, G&A has demonstrated in-depth expertise and is SL Green’s go-to source for ESG insight. Lou is an incredible font of knowledge at a time in our history where we all need someone to do the heavy lifting. It is important to have organizations for our common sustainability work like the Governance & Accountability Institute, led by people with a deep commitment and passion. In addition, they provide badly needed research on companies doing sustainability reporting and trends in sustainability in both the business and investment communities. Finally, they work actively with other organizations to get the word out publicly about the importance and relevance of sustainable investing. Given extensive corporate and investment community network G&A institute has, it was a natural fit for us to work on ESG data disclosure study with G&A and distribute the results of the study via their medium. Their expertise in corporate ESG strategy consulting was indispensable in putting the study results into context for encouraging better corporate disclosure as well as for investors to meaningfully engage with companies they invest in. Anyone who met Hank and Lou would agree that their can-do attitude is not only a delight, but is the indispensable part of the services they provide. Governance & Accountability are thoughtful professionals, partners, and thoroughly enjoyable team to work with. We’ve seen first hand how they've helped Measurabl's subscribers with all aspects of sustainability and set them on the path towards excellence. As the sole person responsible for my company’s sustainability report, I realize the importance of supportive resources. G&A Institute has served as a highly-knowledgeable and readily-available consultant aiding in our reporting effort. G&A provided me with a comprehensive gap analysis containing solid data and actionable direction. They went far beyond the scope of work to ensure we are headed in the right direction as we pursue alignment with the Global Reporting Initiative guidelines. I would highly recommend G&A to any company that is interested in producing a valuable sustainability report that is material to investors, customers and key stakeholder groups. The consultants at G&A are experts in their field and experts at getting it right. They have the ability to take complex concepts and make them understandable. What's more, their knowledge of the ESG space is unparalleled. They respond quickly and completely to requests, are able to accomplish large tasks and projects efficiently and in a cost-effective manner. The job gets done well and gets done right -- I would wholeheartedly recommend the G&A team. I am the CEO and co-founder of a global program called Trust Across America-Trust Around the World whose mission is to help organizations build trust. Since its inception eight years ago, Hank Boerner and Louis Coppolla have been lending their expertise and insights as we create and test new programs. Their collaborative approach is both unique and refreshing, and serves as an important reminder that trust cannot only be built but truly flourish. As a sustainability professional, I have come to rely on G&A Institute for vital intelligence that helps me stay informed. I have a value-added partnership with Lou Coppola and the G&A team. Their regular newsletter provides me with a one-stop source to stay current on sustainability issues and developments. The team's research is outstanding. I am also very impressed with G&A's involvement as a thought leader in promoting the UN's SDGs to the corporate community for gaining competitive advantages. 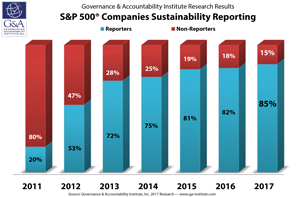 I’ve worked with the G&A Institute for many years and as a Reporter and Editor, I’ve always found this organization to serve as a resource that provides timely, reliable and objective corporate governance and sustainability information. In a deadline-driven environment, Hank and Louis have always been available to shed light on complex topics, which have helped shape the industry. Helping corporations, financial institutions and nonprofits develop communication strategies and brands that are true to their every word….Developing quality leadership and staff….Emphasizing and demonstrating the critical importance of accountable, ethical and sustainable behavior….All leading to the long-term, viable survivability of its clients in a fast-changing world. That's the Governance & Accountability Institute’s mission in a nutshell. And you can bank on it! Over the past decade, I have found that the principals and staff at the Governance & Accountability Institute to be consummate professionals. They react quickly and responsively to inquiries and questions, and also offer solid advice. I have also seen them grow their business successfully over this time period. I recommend working with G&A Institute and also inquiring as how their services can add value to your organization. Among my many rewards of working with G&A, is the profound sense of professional connection after every interaction. There is never time wasted when talking with Hank and Lou, either about sustainability measures, investors' appetit for meaningful data, or a newest workshop on ESG Alphabet Soup, that Lou agrees to lead as a pro bono work for inspiring social entrepreneurs. I am honored to have an opportunity to work with such a team. The folks at G&A are among the most knowledgeable I've ever meet when it comes to governance and CSR. Their approach to business is creative and open minded and it's clear they're not only driving value to their customers but to the world at large. G&A Institute's weekly Sustainability Highlights has become an indispensable resource for me. I appreciate very much the way it aggregates and condenses key developments and updates in the field. - Matteo Tonello , Managing Director, Corporate Leadership, The Conference Board, Inc. 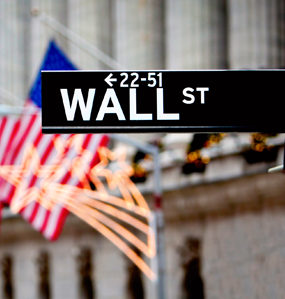 I manage our corporate sustainability disclosure, and am always looking for useful information on reporting trends, particularly trends regarding the influence of sustainability reporting on investor confidence and customer preference. G&A’s publication is essential reading for this purpose. With many years of experience with both sustainability officers and the broad investment community, Lou and Hank are invaluable resources for any company interested in “upping its game” on sustainability. Louis, Hank and the G&A team have been working in the corporate sustainability sector for decades. Their knowledge and expertise have provided us with valuable industry insights. They've been kind enough to introduce us to other great organizations working in the space, and are always looking for ways to collaborate. From the first time I interacted with G&A, Hank and Louis have proven to be invaluable links to a wide network of sustainability professionals that have helped CDP strengthen its platform in the US both on the investor and company sides -- including supply chain. Their research on disclosure has helped enhance the value-proposition of CDP's questionnaires for companies and cities. The G&A Institute team has been instrumental in building strategic awareness of the corporate responsibility agenda, the benefit to the corporate sector and the investment community. As a long-time corporate responsibility executive, I’ve witnessed the work of the team contribute to the advancement of the CR function. The Institute’s ongoing research efforts, broadly shared with the corporate and investment communities, have helped all practitioners better understand the strategies and operational elements for success in corporate responsibility. I applaud these efforts. "What Matters” To Your Company’s Sector? G&A services are broken down into three service related categories. Governance & Accountability Institute is organized as the “Sustainability Headquarters™” for clients in the corporate community and in the investment and financial services sector. Our team provides strategic advice and counsel on a wide range of issues and topics related to sustainability, corporate responsibility, disclosure and reporting, ESG performance, and stakeholder (third party) engagement. The Institute is a for-profit company organized almost a decade ago by professionals experienced in issue and crisis management, enterprise risk management, corporate communications, corporate governance, and corporate responsibility. G&A Institute is currently the only data partner for the Global Reporting Initiative (GRI) in the United States of America, the United Kingdom, and the Republic of Ireland. We conduct extensive research on corporate and institutional disclosure and reporting in these countries, and globally in countries around the world. No other consulting organization has the breadth and depth of experience on corporate sustainability and responsibility reporting, and associated resources and research capabilities of the G&A team. The G&A portfolio of resources and services for clients includes strategic counseling and implementation for the corporate and institutional sustainability journey. We provide global ESG issue monitoring and research; stakeholder identification, prioritizing, monitoring, backgrounding, and engagement; customized ESG, CR and Sustainability-focused research; comprehensive issues management services; advice on corporate responsibility strategies and programs; support investor relations and assistance in corporate responsibility / sustainability reporting, disclosure and communications. Highlights of the specific resources and services portfolio available to clients are described in our services section of the site. Note that these services are closely aligned and integrated – these are the important parts of the whole of our world class deliverables for client organizations. The G&A team recommend the integration of important elements of our strategies and programs for clients to maximize their return on sustainability and create long-term sustainability and responsibility success. We help companies and organizations navigate their sustainability journeys. Note: The G&A Institute GRI data partner activities are pro bono. The mission of the Institute is to be a knowledge-sharing organization, working with partners and collaborators to help to advance the thematic of corporate sustainability and responsibility.